"Where Tradition Dictates a Standard of Excellence"
When you meet or overtake a stopped school bus with red signal lights flashing and stop arm extended you MUST STOP! When you approach an intersection where a school bus is stopped with red signal lights flashing and stop arm extended, you MUST STOP! You MUST STOP at least ten (10) feet away from the school bus. You MUST WAIT until the red lights have stopped flashing and the stop arm has been withdrawn before moving. DO NOT MOVE until all the children have reached a place of safety. 1.5 million children are transported on Pennsylvania roads each day. These children are transported more than 400 million miles to school each year. Every year children are needlessly injured or killed by drivers passing stopped school buses. 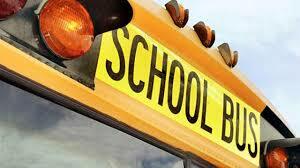 Annually, over 1,000 motorists do not obey the School Bus Stopping Law.